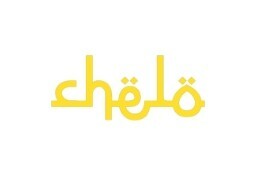 Chelo is currently closed for delivery and it will open at . A mixture of crashed green olives, walnuts, pomegranate sauce and our mix herbs. Lamb chops, marinated in onion, black pepper, saffron and olive oil. Traditional cubed lamb stew with onion split peas, and match stick potatoes, seasoned with dry lemon and spices. Cooked rice mixed with slice string beans or minced or cubed meat. Special northern iran (gilan) version of the very popular tart and sweet walnuts and pomegranate stew,with meatballs or chicken, made with homemade pomegrenate sauce and our special spices. Rice seasoned with saffron mixed, sauteed barberries and slow cooked tender chicken. Ba mahiche braised lamb shanks serve with an aromatic dill and fava bean rice cooked in chelo signature style.